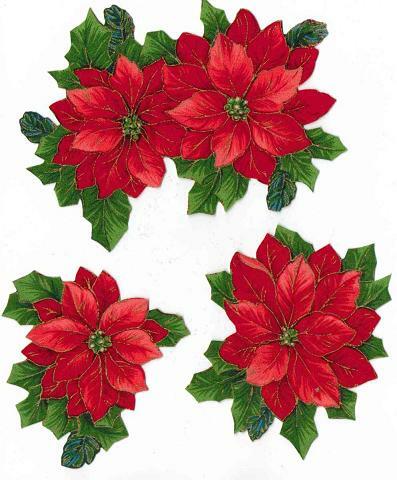 Set includes 5 Christmas flowers. Appliques are made from quality cotton fabric, with an iron on backing. 3 are singles, 2 have 2 flowers on one applique. Colors are bright reds, greens, etc�.decorate your home with creative pillows, wall hangings or make a beautiful sweatshirt, tote bag�.so many possibilities. Measure 3.5" to 5.5" each.